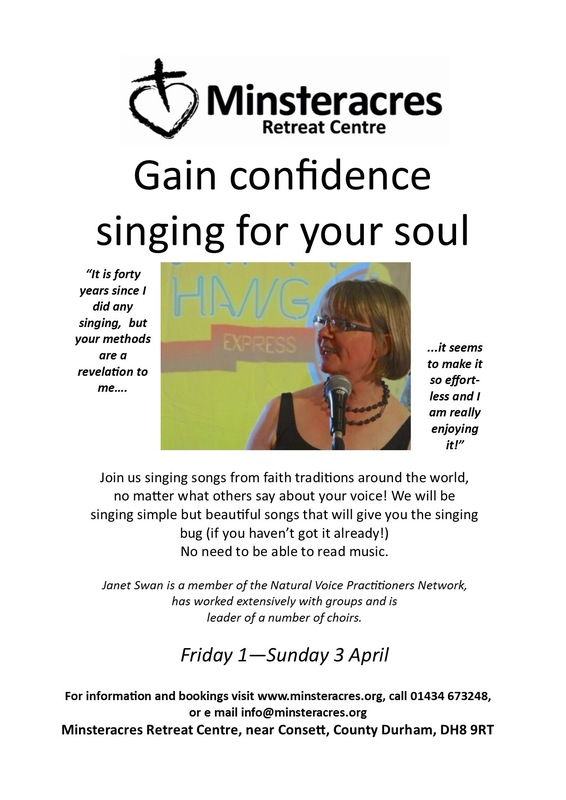 You can book your place from the website or at choir. Please don’t forget to fill in your questionnaire. Download from the link above. Return to choir. 19th January. 2016. A reminder that choir returns tomorrow 19th Jan. We meet as usual at 7pm at Brierfield Library. There are lots of plans for this year including participation in Wateraid again as well a project sharing music and songs with women, from around the world…. And lots more. 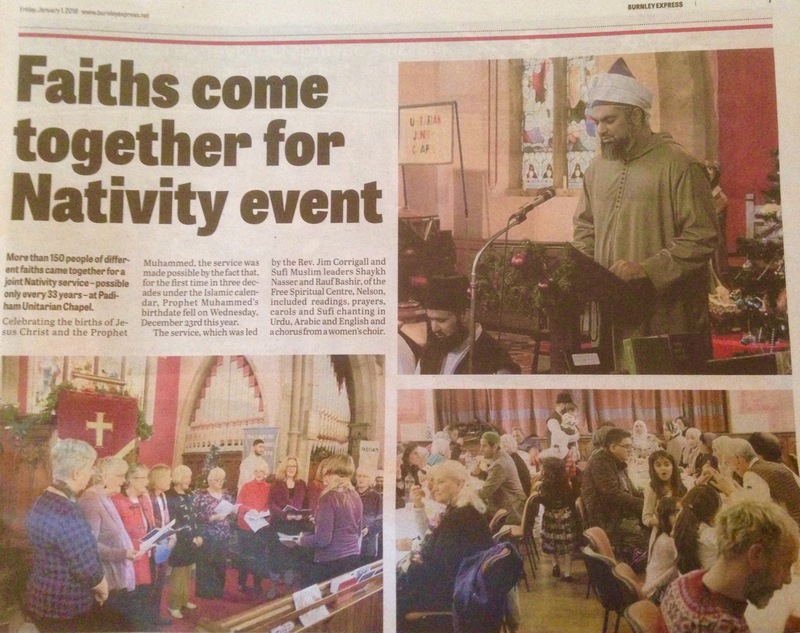 A good start to 2016 as our choir featured on a half page spread, about our singing in Padiham at the interfaith Nativity service, with the Sufi Muslims, in the Burnley Express for January 1st. Many more interesting and fun happenings ahead for us all this year.